Because the idea of a totally digital currency is still so new, many people naturally have questions about how to get started with Bitcoin. The good news is that the Bitcoin basics aren't as difficult or technically complicated as you might think. You see, some critics have used the fact that Bitcoins can be stolen as an argument against the digital currency, but it's a silly one. Anything can be stolen, including your car, your wallet and, these days, even your identity. It's all about following common sense rules. Most people know if they leave their keys in the ignition, they increase the risk of their car being stolen. It's the same with Bitcoin. 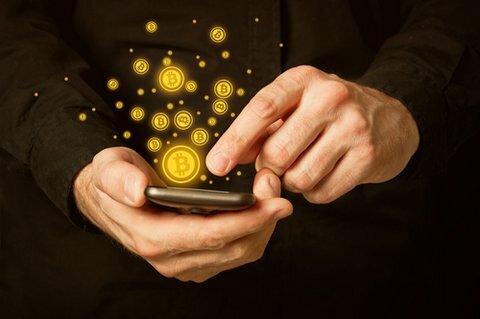 But with some basic tips on how to get started with Bitcoin, and how to thwart potential thieves, you'll know everything you need to successfully buy and use Bitcoin. Here's an infographic that explains just that. It tells you what a Bitcoin wallet is, how to choose one, some threats people should be aware of, and how to protect your bitcoins once you've bought some. And after you check out the graphic, don't forget to look into all the other information Money Morning has provided about Bitcoin, including how to buy bitcoins and different ways for people to invest in Bitcoin.